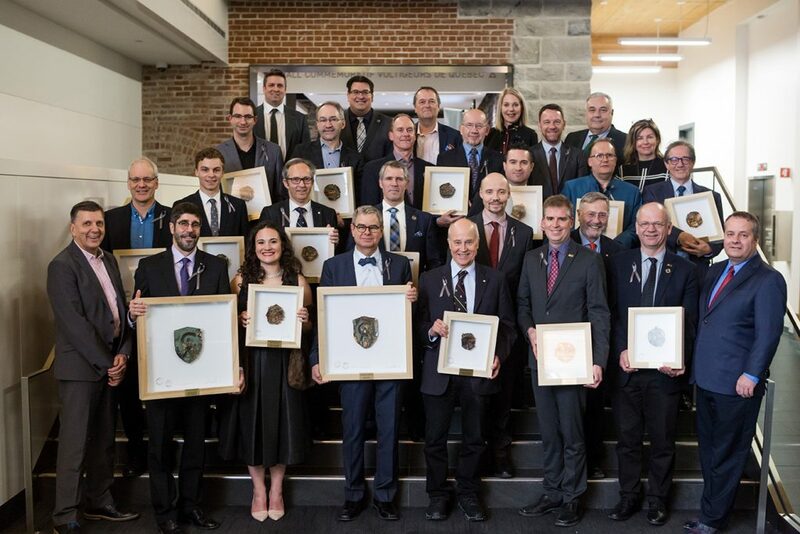 The Québec City Ambassadors’ Club is pleased to celebrate the efforts of 19 ambassadors who, in addition to their professional duties, put their city in the spotlight in 2018 by organizing international conferences in Québec City. 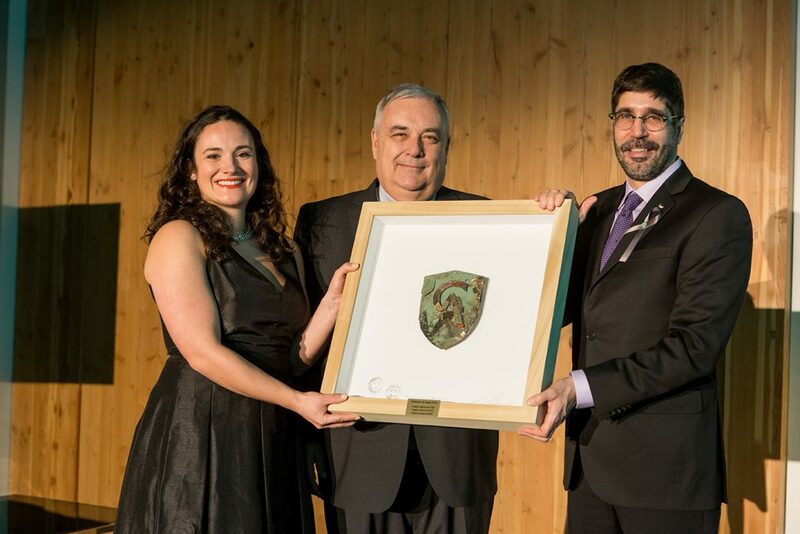 Their work was acknowledged at this year’s Ambassadors Recognition Gala on January 24 at the Voltigeurs de Québec Armoury, an event held to thank them for the resulting 16 events, which generated $16 million in local economic activity and drew thousands of attendees to the city from all over the world. Normand Voyer, a professor in Université Laval’s Chemistry Department, is our 2018 Ambassador of the Year. Mr. Voyer has been involved in a number of conferences over the years and was the head organizer of the 13th International Symposium on Macrocyclic and Supramolecular Chemistry, held in July 2018 at the Québec City Convention Centre. Normand previously got the ball rolling for the Chemical Institute of Canada Conference, held in Québec City in 2013, and has organized or co-organized many other scientific symposiums in the province, in Canada, and in the U.S.
Normand Voyer has been the director of Université Laval’s Québec Network for Research on Protein Function, Engineering, and Applications (PROTEO) since 1999. He couples his work as a researcher with efforts to promote science in the public sphere, particularly among young people. He has given numerous lectures on chemistry for the general public and has a regular spot on Radio-Canada. 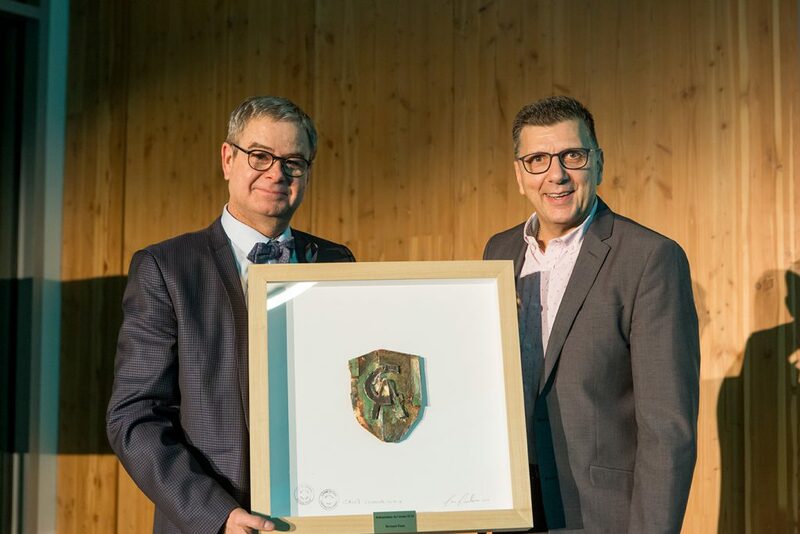 Matthew Hatvany, a professor in the Université Laval Geography Department, took home 2018 Event of the Year honours on behalf of the combined International Geographical Union Regional Conference, Canadian Association of Geographers Annual Meeting, and National Council for Geographic Education Annual Conference. The event drew 1,300 attendees to the Québec City Convention Centre in August, generating $3.3 million in regional economic activity. The Québec City Ambassadors Club is a group of 150 influential, dedicated ambassadors, all of whom have either organized a conference or have one in the works. It offers coaching and support for specialists and other community leaders throughout the process of attracting and hosting a North American or international conference. The Club operates under the aegis of the city’s official convention bureau, Québec City Business Destination, and was founded in 1995 by the Québec City Convention Centre, Québec City Tourism, and the Québec City chamber of commerce and industry, later joined by Québec International and Jean Lesage International Airport.